England's national selectors have announced the 15-member squad for the upcoming World Cup 2019, ending weeks of speculation and suspense. The side doesn't have too many surprise picks, with most of the predicted members making it to the team. However, the highly debated Jofra Archer hasn't made it to the preliminary squad, and Chris Jordan hasn't found a place either. The English selection panel headed by Ed Smith did mention, however, that changes could be made to the squad after the conclusion of the series against Pakistan, depending on the fitness of the players. The squad will be led by one of the most successful limited overs captains that England has ever had, Eoin Morgan. The southpaw has been leading the team for quite a while now and has been able to maintain a good winning percentage. 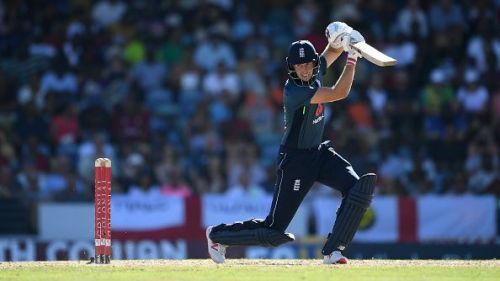 The batting department will be spearheaded by the experienced Joe Root, with Alex Hales, Jason Roy and Joe Denly adding firepower to the lineup. The wicket-keeping duo of the in-form Jonny Bairstow and Jos Buttler will add even more urgency to the batting. All-rounders Ben Stokes, Moeen Ali and Chris Woakes have also comfortably made it to the team. The bowling attack comprises of Mark Wood, Liam Plunkett, David Willey and Tom Curran. Apart from them, wrist-spinner Adil Rashid, who has been quite successful for England in the ODI format, is the only frontline spinner in the team. Eoin Morgan (Captain), Moeen Ali, Jonny Bairstow, Jos Buttler, Tom Curran, Joe Denly, Alex Hales, Liam Plunkett, Adil Rashid, Joe Root, Jason Roy, Ben Stokes, David Willey, Chris Woakes, Mark Wood. While talking about the squad, Ed Smith said, “In line with ICC regulations, we have to name a preliminary squad of 15 for the ICC Men’s Cricket World Cup before April 23. However, all 17 players named in the Royal London ODIs against Pakistan can stake a claim to be in the final 15-man squad, finalised at the end of that series." Commenting about Jofra Archer's exclusion, he said, “The selection panel has been impressed with Jofra Archer’s performances in domestic and franchise cricket. He is a very talented and exciting cricketer."